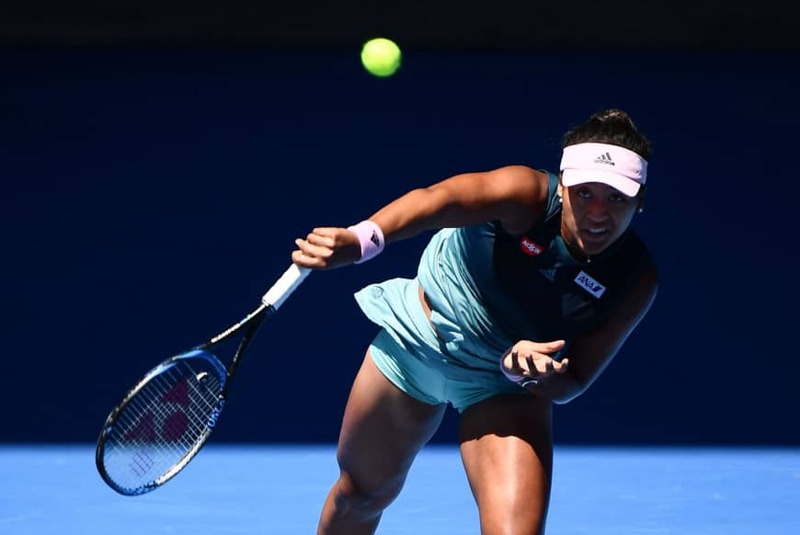 MELBOURNE, AUSTRALIA - U.S. Open winner Naomi Osaka kept her hopes of winning back-to-back women’s singles Grand Slam titles alive Wednesday when she beat reigning tour finals champion Elina Svitolina 6-4, 6-1 in the Australian Open quarterfinals. 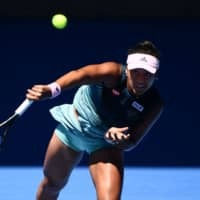 The win, her third against the Ukrainian in six tries, made her the first Japanese woman to advance to the Australian Open semifinals since Kimiko Date did so in 1994. 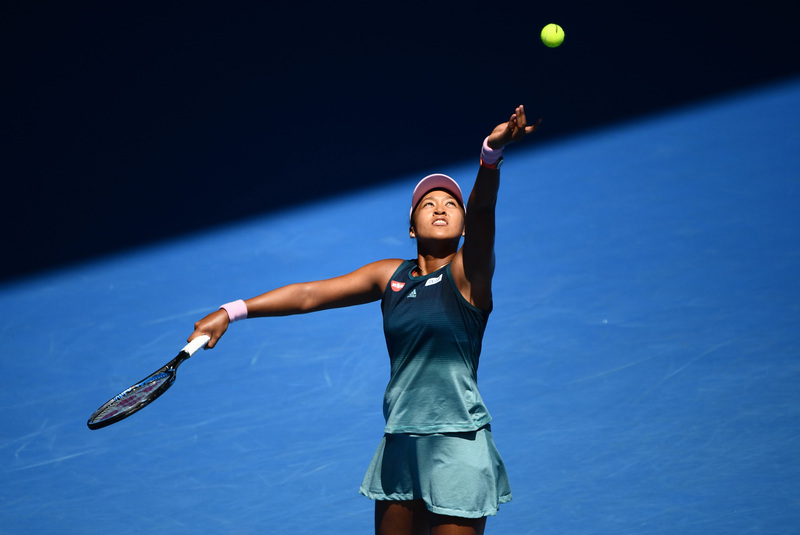 “For me, today, I just had one goal and it was to try as hard as I can and not get angry,” said Osaka, who threw her racket in frustration during her third-round win over Taiwan’s Hsieh Su-wei. Kei Nishikori failed to match Osaka in the men’s draw, retiring injured from his quarterfinal match against Novak Djokovic while trailing 6-1, 4-1. Nishikori had taken a medical timeout between sets, with the trainer working on his right thigh. No. 1 Djokovic will meet Lucas Pouille for a place in the final. Osaka will next face seventh-seeded Czech Karolina Pliskova, who stunned Serena Williams in their quarterfinal meeting. The Japanese fourth seed and current world No. 4 has now won 58 straight matches in which she has taken the first set. She also has a chance to leave Melbourne with the world No. 1 ranking, according to the WTA. In addition to reaching the semifinals, Osaka needs to equal or better Petra Kvitova’s performance in the tournament to stay in contention for the No. 1 spot. Kvitova has already won through to the semifinals, where she will meet unseeded American Danielle Collins. On Wednesday at Rod Laver Arena, Osaka struggled with 19 unforced errors in the first set. However, she managed to break her opponent’s serve in the 10th game to take a one-set lead when Svitolina could not counter a cross-court backhand. The break was one of three for the 21-year-old Japanese in the set. After Osaka took a 3-0 lead in the second set, sixth-seeded Svitolina requested a medical timeout so she could get treatment on her right shoulder. 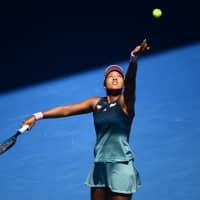 Despite the three-minute halt in play, Osaka maintained her momentum and patience, breaking her opponent twice more before closing the match out in one hour, 12 minutes with her eighth ace and a forehand winner on match point. “I tried to be consistent, or as consistent as I can. She’s a really good player and it’s unfortunate that she got injured. But playing against her even when she was injured was still really tough,” Osaka said. Williams’ surprising departure later in the day scuttled what would have been a much-anticipated rematch against Osaka, who beat her in the chaotic U.S. Open final last September. Williams was one point from quite a comeback win when she turned her left ankle. In a startling reversal and result, Williams wasted four match points on the way to dropping the last six games of a 6-4, 4-6, 7-5 loss to Pliskova. This defeat is the earliest in Australia for Williams since a fourth-round loss to Ana Ivanovic in 2014. Since then, she had won the tournament in 2015, lost in the final in 2016, and won again in 2017 while pregnant, before missing last year’s edition a few months after the birth of her daughter. The 37-year-old American’s match against Pliskova was played under a stifling sun, with the temperature around 80 degrees (25 Celsius), and Williams — coming off an intense three-set victory over No. 1 Simona Halep in the fourth round — often stepped into the patches of shade behind each baseline. Only then did Williams seem to get going. From there, she immediately earned her first break point of the match and converted it to get to 3-all, beginning a run in which she claimed nine of 11 games. And then it all changed. Serving for the victory at 5-1, 40-30, Williams was called for a foot fault — reminiscent of an infamous such ruling at the U.S. Open a decade ago. During the ensuing point Wednesday, Williams twisted her left ankle and dumped a forehand into the net. She grabbed at her foot afterward, and would go on to cede that game.